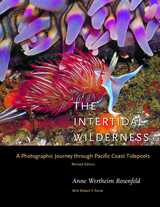 The Intertidal Wilderness is a stunning photographic exploration of the tidepools of the Pacific coast, from Baja California to as far north as southeast Alaska. These lush photographs capture in striking color the enormous variety of life and biological detail in the intertidal zone along one of the world's most spectacular coastlines. The interpretative text and captions describe telltale signs of ecological relationships and processes, helping the seashore explorer to appreciate ecological interactions and their consequences. The text delves into the roles of competition, predation, reproduction, natural variation in space and time, and color that characterize this vibrant ecosystem. This revised edition has been updated throughout, incorporating new scientific information, new photographs, and a new chapter discussing the recent human impact on this threatened environment. Fusing art and science, The Intertidal Wilderness conveys the fragility, complexity, and interdependence of the plants and animals living at the interface of land and sea. The Intertidal Wilderness vividly animates the surprisingly delicate beauty of the often violent intertidal zone, which daily withstands pounding waves at high tides as well as desiccation and exposure at low tides. With revealing photographs, engaging text, and a solid foundation in marine biology, this book will capture the imagination of the casual seashore visitor as well as the dedicated enthusiast. Anne Wertheim Rosenfeld is a photographer and writer whose work has appeared in the magazines Oceans and Geo and in books by Jacques Cousteau and David Attenborough. Her work has also been exhibited in a number of places, including the Oakland Museum. Robert T. Paine is Professor Emeritus of Zoology at the University of Washington.